When I left work at 5 PM yesterday, it was a remarkably beautiful day. The sunshine and the clouds were lovely, the temperature was unseasonably pleasant, there was a gentle breeze, and there was something in the air that somehow emphasized the fact that I had the rest of the day completely free to do whatever I felt like doing on such a summer evening. So I opened my window wide, microwaved some pizza, ate it, rearranged a few stacks of books, and then spent several hours alternatively writing science fiction and reading, with an occasional internet chess game thrown in there for good measure. It got late, and I got tired, but I didn’t feel like calling it a day, so I decided it would be a wonderful night to do a full-length practice GRE test. (For the record, that was a bad idea. My brain doesn’t appreciate being asked to do that kind of thing after 11:00 at night. )As I finished at about 1 AM, I noticed something odd. The sky was flickering pale purple. I thought it was lightning at first, but it was unnaturally constant and predictable, and the thunder was unnaturally nonexistent. Besides, the clouds were still lovely, the temperature was still unseasonably pleasant, there was still a gentle breeze, and there was still something in the air that underlined the fact that it was one in the morning and I didn’t have to go to sleep yet because it’s summer vacation and I’m not a little kid anymore and I can do whatever I want. So I decided that I wanted to stick my head out of the window and watch the sky flicker and flash for a couple hours. As it turned out, it was lightning, and it was one of the most spectacular lightning shows I’ve ever seen. About once a second, several blazes of light streaked across various parts of the sky simultaneously. Gradually, the thunder realized what was going on and decided to join in, and the wind decided it wanted to share in the fun and began to spread a presage of doom. The air turned ominously red and filled with mist. Then it began to rain. First, it was a light, misty rain, but by the time I eventually went to sleep, it was stronger. When I woke up a few hours later, it was a torrential downpour. 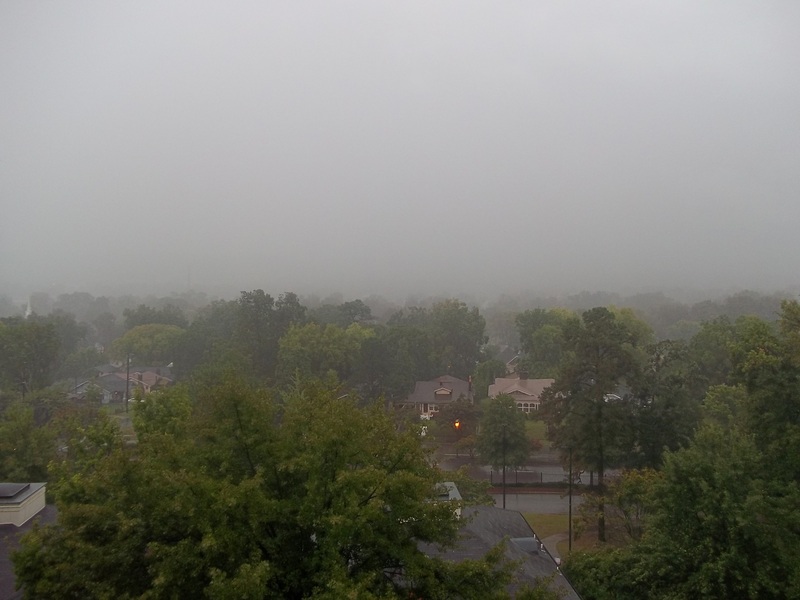 The fog was so thick that not only could I no longer see the Birmingham skyline, I couldn’t even see across the street. Now, it’s late morning and the rain and lightning have stopped, the fog has cleared, and the clouds are dissipating. I can see patches of blue in the sky. It’s going to be a beautiful afternoon. A few weeks ago, I found myself with a totally free afternoon on my hands, and it seemed like a good idea to arbitrarily write a couple sentences or a paragraph every now and then throughout the day, and eventually to stick it together into one blog post of randomness. That turned out to be a fun way to spend an afternoon, so I’m doing it again today. The difference is that this time, it’s not so much afternoon as evening, and by the time I actually post this, it’ll probably be late. 1. This one actually isn’t random at all, because I’m actually pretty mad about it. I just want to say that good works are not one of the marks of the church. They are good things, which is why they’re called ‘good’ works, but you cannot say that the good works of a congregation prove that the word of God is taught accurately and faithfully there. Grace and good works are distinct. (Romans 3:20, Romans 3:28, Galatians 2:16, Galatians 3:10-14, Ephesians 2:8-9, 2 Timothy 1:9, Titus 3:4-7, etc… Just sayin’.) Rather, the marks of the church are the sacraments and the word. (Deuteronomy 8:3b, Psalm 119:81,Mark 16:16, Luke 1:45, Acts 2:28, Acts 2:42 Romans 6:3-5, 1 Corinthians 10:16-17, 1 Corinthians 11:26, Galatians 3:26-27, Ephesians 5:26, 1 Peter 3:21, Titus 3:4-7, etc… The only reason I’m stopping there is that this is taking a really long time and I think the point has been made.) On a related note, I am looking forward to Pastor’s return from vacation next Sunday. 2. I’m not sure what a cherimoya is, but this bottle of water is flavored like it. Okay, I just googled it and discovered that it’s a fruit native to the Andes, and it looks a little like a spiky avocado. Good to know. 3. Why does my cell phone have an alarm clock feature under the ‘office tools’ category? 4. 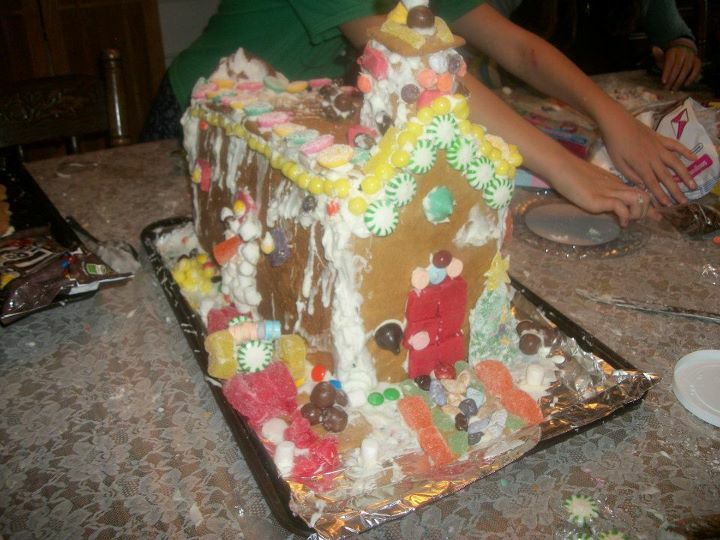 I can’t wait until next December when it’s time for my family to make our third annual gingerbread house and gingerbread-house-making documentary. 5. In those awkward situations where I suddenly don’t know what to say next, I should yell, “VERBAL FALIURE! Loading, please wait,” and stare blankly into space until I find the words to say. 6. I like my new puzzle. It has a picture of turkeys, but the turkeys aren’t the part I like best. I like the sky best. 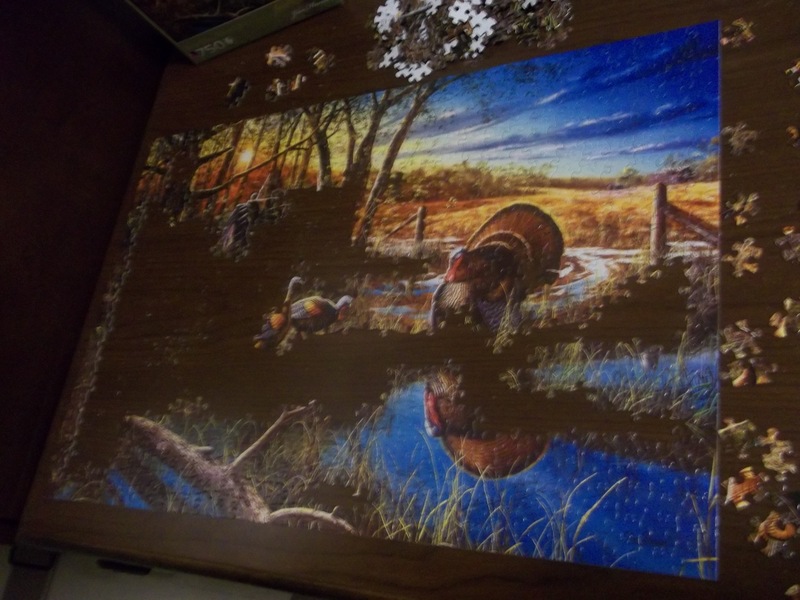 The sky is almost always my favorite part of jigsaw puzzles, unless they don’t show the sky. 7. On the way to church this morning, something odd happened. Normally, it takes exactly three times through ‘Stricken, Smitten, and Afflicted’ for me to get to the right exit, (This is, in fact, how I ensure that I get off at the right exit) but today I must have either been driving too fast or singing too slow, because I still had two verses left to go when I got off the interstate. It was weird. 8. At the moment, half of my fingernails are bright lime green and the other half are dark blue. The blue ones match my shirt. The green ones don’t. 9. Why does the word ‘impertinent’ have a meaning other than ‘not pertinent’? I didn’t make this. I borrowed it from Google. 10. 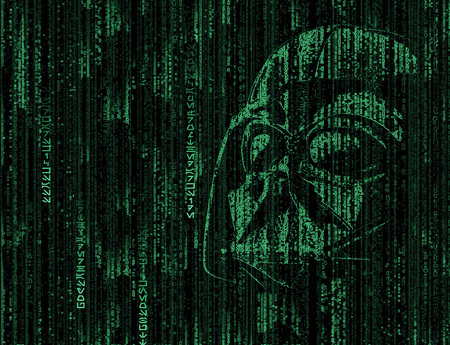 A few weeks ago, I was planning to write a blog post about the similarities between Star Wars and The Matrix. Then I watched the first Matrix movie a second time and I saw the others for the first time, and I realized that the similarities are much less subtle than I had thought at first. Then I was going to write a blog post about my opinion that in Titanic, Jack Dawson never existed, (even in the fictional context of the movie) and that he was just Rose’s imaginary boyfriend. Then I realized that my theory had a hole in it because of the sketch that Jack drew. 11. My sister says on her blog that she told our mutual little sister that Marco Polo was an Olympic sport. 12. There’s a certain place on the interstate where there’s a sudden tight curve and the speed limit drops down to 45. I can’t help always feeling a little smug when everyone around me has to suddenly slam on their brakes, and I don’t, just because I always take my foot off the accelerator a few seconds earlier than they do. But I did get this strange knight fork. That’s not something you see every game. 13. 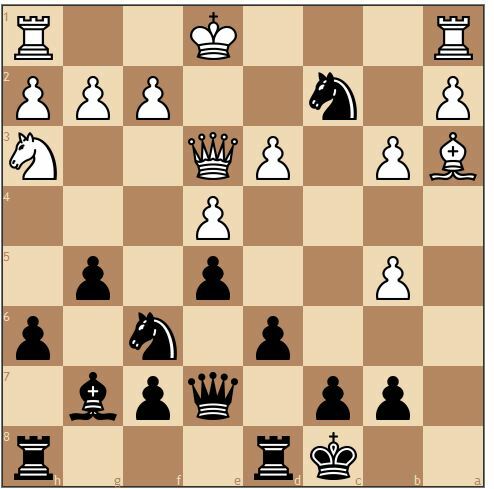 I seem to have forgotten how to play chess today. This is a little pathetic. 14. Why does the phrase ‘more or less’ mean ‘approximately’? Shouldn’t it mean ‘anything besides exactly’? 15. I really wish that I was taking my car when I go to Chicago next month. Instead, I’m taking the bus, and I’m going to miss my lovely car. 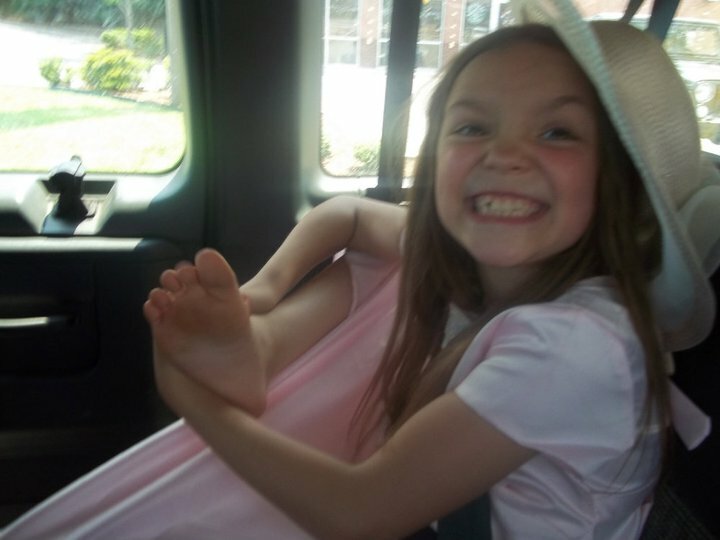 She and I have such fun going places together. 16. As much as I love the Olympics, it seems a little odd that we think we’re celebrating intercultural and international unity by pitting the best, most dedicated, and most determined athletes of the world against each other and encouraging everyone to cheer for the contestants from their own country. 18. I have heard it said that semicolons shouldn’t be used very often; any place where you can put a semicolon, you could just start a new sentence. I disagree with that; I love semicolons. I just finished the second phase of the experiment which I began in early June and wrote about again here after finishing the first phase. (Making links to my earlier blog posts is really fun. I have no idea why, but it is.) 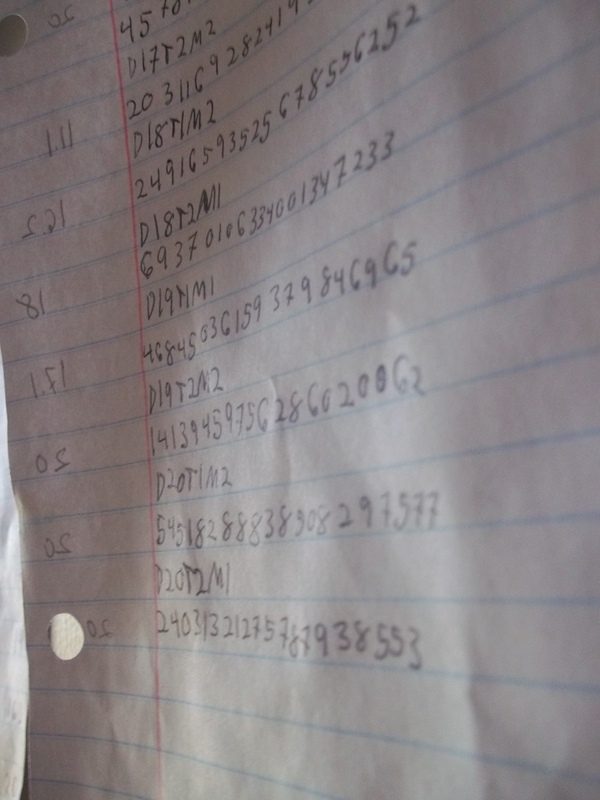 For the last twenty days, I have been attempting to memorize a string of twenty digits in a minute twice each day, thereby attaining forty data points. 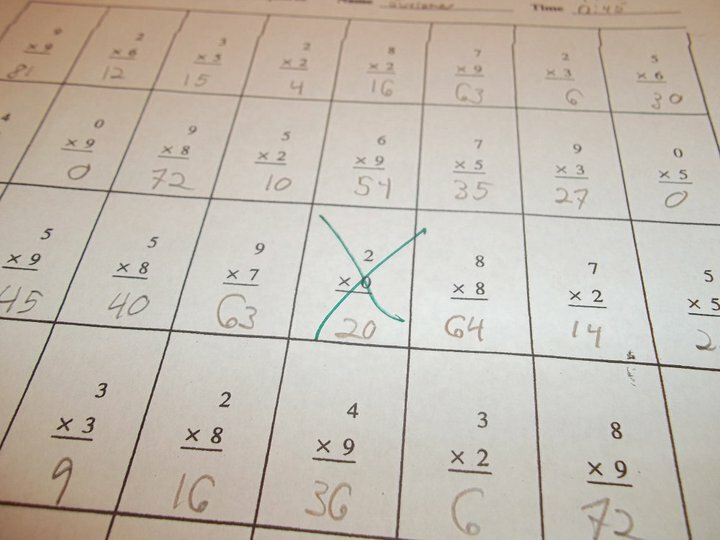 For twenty of these, I put my hand on my face while I was trying to remember the numbers, and for the other twenty, I kept my hands away from my face. The point of this experiment was to discover whether or not I think better when my hands are on my face, and I was really hoping that the answer would be yes. It would be very convenient if I could instantly make myself smarter just by putting my hand on my face. Actually, the real reason for this experiment was to give me a reason to tape stuff like this to my walls. The important thing here is interior design. My room looks very elegant decorated like this. Unfortunately, just like in the first phase of this experiment, my results were inconclusive. Although there did seem to be trends in the results, the actual calculations revealed that the trends weren’t large enough to actually prove anything. The differences could conceivably have been due to random chance. I think it’s worth noting, though, that this time the results were almost good enough to be statistically significant. The trends probably mean something, even though I don’t have good enough evidence to insist that they definitely do. And what the trends show is that I remember stuff better when my hands are on my face. I definitely intend to make use of this information when I’m taking the GRE in two weeks. Now I just have to decide what the next phase of this experiment is, because I don’t want to give up this delightfully fun game. he leaves a trail of fire in his wake? the sign is here now for his mem’ry’s sake. The story on this sign is not complete. When I run down the stairs, they don’t ignite. that make them shoot out flames when he takes flight. that leads to stairs around here ev’rywhere? a plaque to tell us of what happened there? I wish the sign would tell the tale to me. 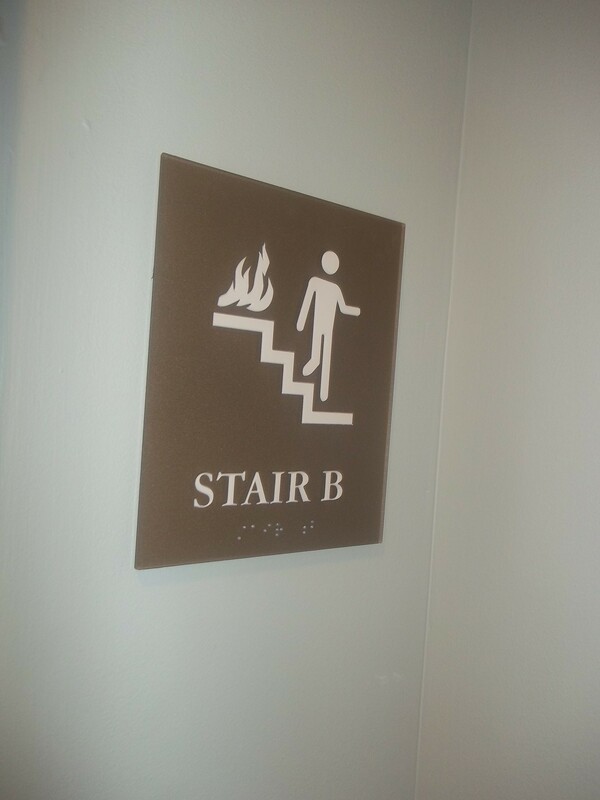 Instead, it just says this is staircase B. The scrabble dictionary kind of blends the two definitions. Today, I discovered something which has shattered my view of the universe. (Or at least my view of the English language) It turns out that, for years, I’ve been wrong about what the word alacrity means. I’d always thought that alacrity was just a fancy and particularly awesome word for speed, but it turns out that it really means ‘cheerful readiness’. Actually, Google informs me that ‘speed’ is an acceptable alternate definition, but it goes without saying that I should have been aware of the primary definition. 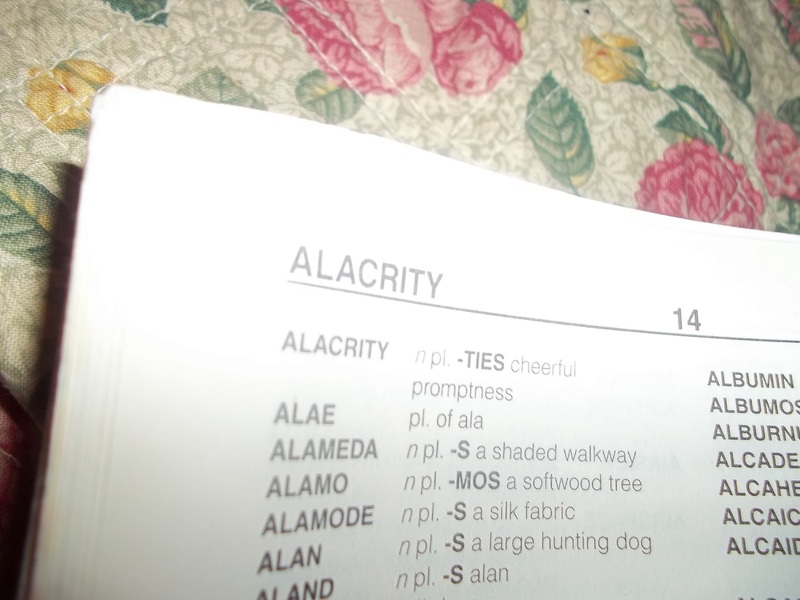 I still remember the day when I heard the word alacrity for the first time. 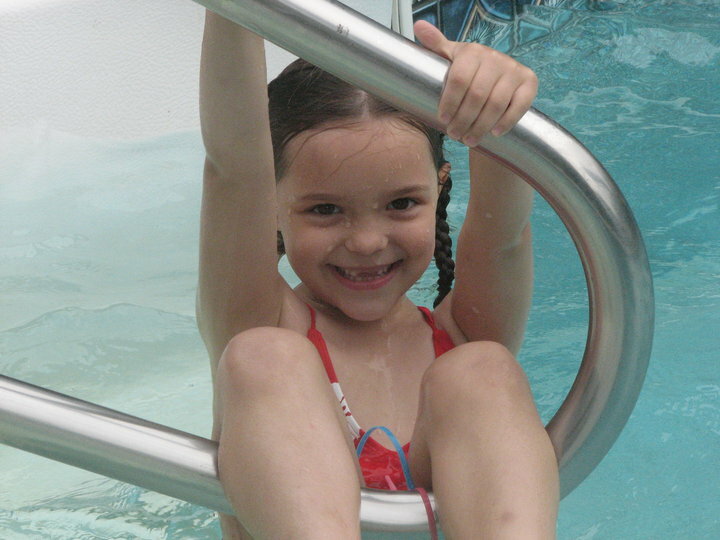 It was a Sunday morning when I was a small child. We were about to go to church, and almost everyone’s shoes were missing. (For much of my childhood, it was necessary for my family to set aside shoe-hunting time before any departure from the house) As the shoes failed to appear and the danger of being late for church increased, my mother requested greater alacrity in our search. I asked her what alacrity meant, and she answered me, but now that I think back on it, I don’t remember exactly what she said. Did I immediately forget, and then later replace the definition in my brain with something else and attribute that answer to her? Or did she tell me that alacrity meant speed? I suppose I could ask her, but she probably doesn’t specifically remember the incident and won’t be able to tell me exactly what she said. I shall be left wondering where I got my misinformation, even while I am lamenting the (almost) non-existence of the definition of one of my favorite words. This disturbing realization forces me to face a troubling question: should I remove ‘alacrity’ from my list of really cool words, or should I keep it on the list, but adjust the terms of my penchant for it in order to reflect my new understanding of its true meaning? Etymology: From the Latin ‘decimare’, which technically means to kill exactly one tenth of a group. Although it had never occurred to me before, I guess it ought to be pretty obvious from the ‘deci’ that it had something to do with the number ten. That’s interesting. Now I’m really glad that I decided to look up these words. Etymology: The word dates back to around 1600 and comes from the Latin word ‘trepidationem’, which boringly means the exact same thing as the current English word. It is worth noting, though, that it is related to the words ‘tremble’ and ‘tremulous’. Etymology: The word ‘decapitate’ comes from the French word decapiter, which comes from the Latin ‘decapitare’. 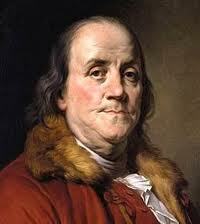 ‘Capitis’ means head, and ‘de-‘ indicates that the head isn’t there anymore. Etymology: It originated in the 1650s and comes from the Latin ‘simultaneus’, which predictably means ‘at the same time’. The root word is ‘simul’, from which we also get the word ‘similar’. The reason I like this word is that I know how to spell it. I’m a terrible speller and rely heavily upon Google and spellcheck. They frequently have cause to correct me, but all three of us agree about the spelling of ‘simultaneously’, which makes me feel very clever. Etymology: Apparently, the origin is uncertain, because the only information I can find is that some magazine article in 1772 listed it as a newly invented word. Etymology: It comes from the French ‘subséquent’, which comes from the Latin ‘subsequentem’, which literally means ‘closely following’. I’m a bit confused about that because I thought ‘sub-‘ generally meant ‘under’, not ‘close’. Etymology: The root word, ‘incident’, comes from the identical French word, which comes from the Latin word ‘incidere’. The prefix ‘in-‘ apparently can mean ‘on’, and ‘cidere’ apparently means ‘fell again’. Now I’m kind of confused. Apparently, the current meaning of ‘incident’ dates to the middle of the 15th century, and the current use of the word ‘incidentally’ has only existed since about 1925. This word had to go on the list because my sisters laugh at me for using it so frequently. Then I will explain to them that one never answers a question with ‘incidentally’, and they will explain to me that they don’t care, because they were only using that word to tease me. Definition: I can’t tell you. It’s a secret. Etymology: My sisters and I invented it. Learning how to read is very difficult. I say that from personal experience, because I remember very well the confusion and frustration of the beginning of my reading career. But I was pretty determined about it; my little four-year-old self knew that the ability to read would give me power and skills beyond my wildest dreams and would immediately catapult me into the world of big-kid-ness. As it turned out, I was more or less right about that, but the actual process of learning how to read was so challenging and took so long that even now, I’m kind of proud of my younger self for accomplishing it. See how smart I am now? In my defense, I was trying to do it very fast. 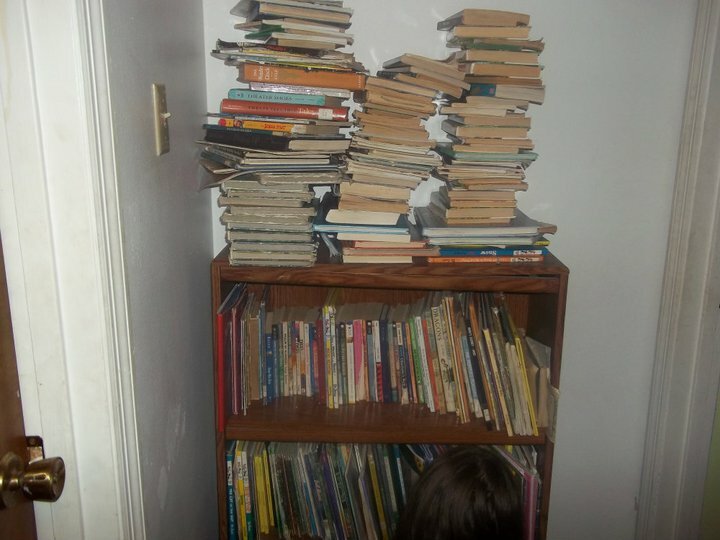 As hard as it was for me to learn to read when I was four and five years old, I expect it would have been even harder if I had to learn when I was older. I certainly don’t think I could do it now. I more or less take it for granted now that I know how to read, but if I stop and think about it, it’s a really amazing skill that seems like it should require exceptional ingenuity to learn, and I am sadly lacking in ingenuity, exceptional or otherwise. If I’m technically more intelligent than a little kid, it’s only because everything I’ve learned in the past fifteen or sixteen years has just been built on the foundations of things that my genius little kid brain learned back when I was a genius little kid. the internet says I exist. (It also says that I was born in Russia in 1863, married someone named Gottlieb, had seven children, and died in North Dakota on February 25, 1939. That’s very interesting. )Then again, the internet has been known to lie before. And actually, I also really can’t claim that my reflection in the window is reliable proof of my existence; a reflection is by definition not real. I definitely can’t claim sensory perception as proof that I’m real, because that could just be my imagination. This is Descartes, the guy who thought he was. 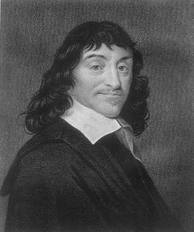 Of course, I could use Descartes’ logic to demonstrate my existence by pointing out that I think, therefore I am. The problem with that idea is that I can’t really prove to anyone else that I think. In fact, there are several people who would gladly testify that I don’t think. (To be specific, those people are my siblings)Nobody else can conclusively prove that I’m not just a robot with artificial intelligence (“Or artificial stupidity”, I’m sure my siblings would say) or some kind of elaborate illusion, or a figment of someone’s imagination. And if nobody else can prove my existence beyond a doubt, then it would be really jumping to conclusions for me to assume that I’m real. It really does seem to me, though, that I’m conscious and sentient. But if I’m actually not real, how would I even know what real consciousness and sentience feels like? Maybe I just think that I can think because I don’t know what thinking really is. The big question is, if I’m imaginary, who’s the one doing the imagining? It can’t be me; imaginary people aren’t capable of independent thought.